Living healthy can be expensive. There are so many things you need to keep in mind – diet, exercise, vitamins, environment… it all leads to quite a hefty bill when you start pursuing that new, healthy lifestyle. Vitamins, in particular, can be quite costly to buy, which is why so many people want to find discount vitamins. Some people may only buy vitamins when they're on sale, which you might not see in stores as often as you’d like! When you want to buy discount vitamins, you need to make sure you are buying from a website you can truly trust. 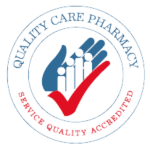 At Mail Order Pharmacy, we aim to provide customers with a reliable method of purchasing vitamins online. We understand that in your busy life, you might not always have the time to go out and browse the shelves of your local pharmacy. Other times, you just might not want to, and that's what makes our online shop so convenient. You can take as long as you want to browse no matter what time of day or night it is. In addition, we offer special deals and sales quite often so that if you're looking for discount vitamins, you can get them from us. When you buy online, you have the time to look into the site you are buying from to make sure it is legitimate – something you might not be able to do with a local pharmacy. There are many places you can go to buy discount vitamins online, but not all of them will be trustworthy or reliable. Just because it's a bargain doesn't always mean it's going to be a legitimately healthy product. That's not the case with our selection of discount vitamins at Mail Order Pharmacy. We offer only the most trustworthy brands of vitamins available in Australia, from Blackmores to Orthoplex to BioCeuticals. If you want the finest discount vitamins Australia has to offer, you can browse our selection. There are many discount vitamins online, but you need to make sure you're getting quality products, not cheap products at cheap prices. When you're looking to buy vitamins, you want to make sure you are buying from a trusted brand. Blackmores and BioCeuticals are both some of the leading suppliers of supplements in Australia, which is why we offer such a wide variety of their products. If you are determined to buy only the healthiest and most effective vitamins, take some time to research the company and the type of vitamin before you buy. Blackmores and BioCeuticals are both established brands that you can trust. If you're ready to buy vitamins in Australia, we have a wide selection for you to browse. If you run into any problems using the site, or you have questions about our products, feel free to contact us anytime. You can call us on 02 9358 6712 or email us at sales@mailorderpharmacy.com.au. Our highly trained staff will be prepared to answer your enquiries.